YALIG is a top 10 China kitchen cabinet supplier, manufacturer, and brand. 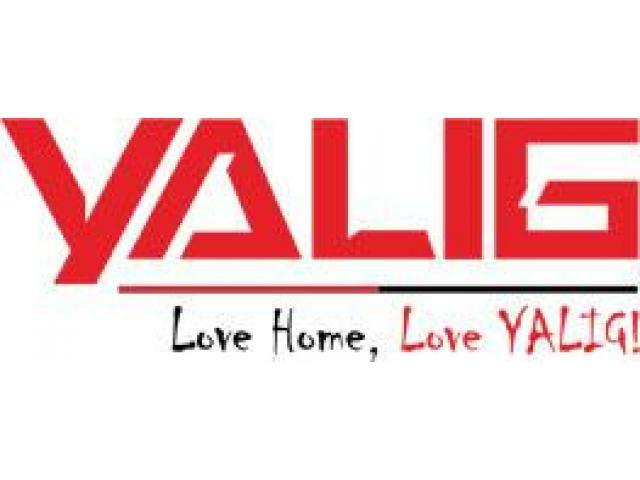 We accept all kinds of OEM or customized design kitchen cabinet, kitchenware and furniture manufacturing and production orders.YALIG was founded in 2001 with the mission of bringing the best of the "Made-with-Intelligence" modern kitchen design to China domestic and overseas homes. Our product categories include but not limited to cabinet combinations, overall wardrobe, closets, kitchen accessories and other types of customizable furniture.Our company HQ is located in City of Hefei, China, with over 30,000 square meters of warehouse and manufacturing industrial area. Now we are constructing the biggest intelligent kitchen cabinet and accessory production base in Eastern China that is integrated by design, manufacturing, and logistics.We are concentrating on bringing the most environmental and smart kitchen cabinets and accessories to not only families in China but every corner of the world. We are excited to cooperate with any global clients. If you have any question or inquiry, contact us today and we look forward to building up a long term relationship with your company.